Forum member Kurtis has made the life changing decision to skate the 6500km across Canada and will set sail between the 11th of May and June the 3rd 2011. Kurtis will be joined by a few good friends and will be raising money to plant trees. Did you know that it it takes 6 mature trees to offset your personal emissions and that it only costs $2.50 of donations to aquire these trees, thats 25-45c per seedling! You can keep up to date with everything to do with the trip on the skatefurther forum thread, via the facebook page or on the Will Skate For Trees website; www.willskatefortrees.com. 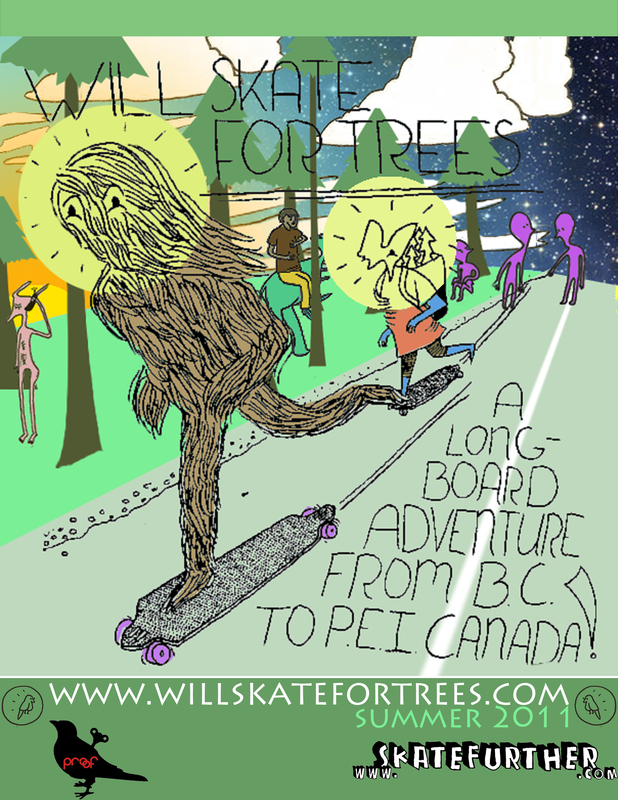 Skatefortrees is also looking for environmentally conscious companies to help and sponsor the trip, get in touch if you can help out in any way. I just have to make sure everybody knows that the $5 per tree was a mistake. To get an idea of the costs per Tree check out http://www.treeseedlings.com/orderform.htm (example only, we’ll be looking into getting them EVEN cheaper) Also the planting will be done by myself and volunteers, so that will not effect costs..
Just want to make sure that this doesn’t confuse anybody.